Protecting water systems on ships and oil platforms with the Merus Ring. 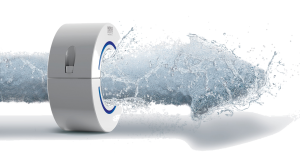 Water treatment against limescale, biofouling, algae and mussel growth as well as corrosion. In the marine, especially on ships and offshore, sea water treatment with a Merus Ring is particularly useful. The first reason for this, the water treatment after the installation can be operated without further effort. Neither energy nor chemical additives are needed to maintain the effect. This is reducing space, weight and costs. Secondly, Merus is specialized in treating sea water, where we face special challenges, such as marine growth of all kind. 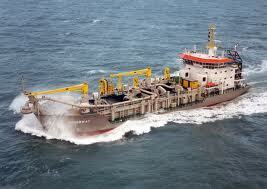 We have been working in marine and offshore for more than 15 years. Having started in Greece with a fresh water generator, we are now one of the leading providers of water treatment on vessels in Europe. Merus Rings are working on more than 200 ships, vessels and offshore platforms. Operating in sea water, brakish water and river water. Today the marine sector is one of our most growing markets. You will find Merus Rings on cruise ships, container vessels, cargo ships, ferries, tankers and supply vessels, as well as offshore platforms. Treating the technical water, drinking or sea water. The Merus Ring is an environmentally friendly alternative to emergency shutdowns, extensive cleaning efforts. Scaling and fouling – mainly where sea water is used. Marine Growth of mussels and barnacles in pipes and machines. For more insights in these projects please have a look at our case studies. At this point we will focus on the function of a Merus Ring in the context of marine industry. For general information please read the explanation here. When the sea water enters the ship it contains usually several foreign substances that can harm the water systems on the inside. Most obviously sea water contains salt. Metals in contact with water tend to corrode. Salt is an accelerator in this chemical reaction which means that pipes and systems in contact with sea water corrode quicker. The question is not if the ship and its system can resist against the decay but how long. Installing a Merus Ring means protecting pipes and systems. As the salt stays solved in the water the corrosion rate is reduced significantly. Thinking one step ahead: also "fresh water" contains salt (salt free water would be distilled water). Which means the effect of a Merus Ring in the system is not limited to sea water, but works with all kind of water. Not only salt in the stricter sense is held solved in the water. Also the solubility of lime scale (calcium) is increased, which means that there are far less deposits in the system. Cleaning and overhauling costs are reduced significantly. Secondly sea water contains biological substances or beings such as mussels, barnacles or algae. They can block pipes and valves and thus cause expensive damage. Furthermore they can settle in existing deposits and form a biofilm which increases the problem. With the Merus Ring no deposits form in the pipes and existing deposits vanish. Subsequently there is no habitat for biological growth and the biofilm will be removed.